The Egyptian Ministry of Culture is offering to provide the accommodation and local transportation for one theatre group (not to exceed 15 members) to participate at the Cairo International Festival for Experimental Theatre. The application form, together with all other information requested, is to be sent to the Festival Administration by not later than 15th August 2010 and can be downloaded from here. The group participating is being requested to send a DVD copy of the performance in order to be viewed by the Viewing Committee, which is appointed by the Festival Management. 1. 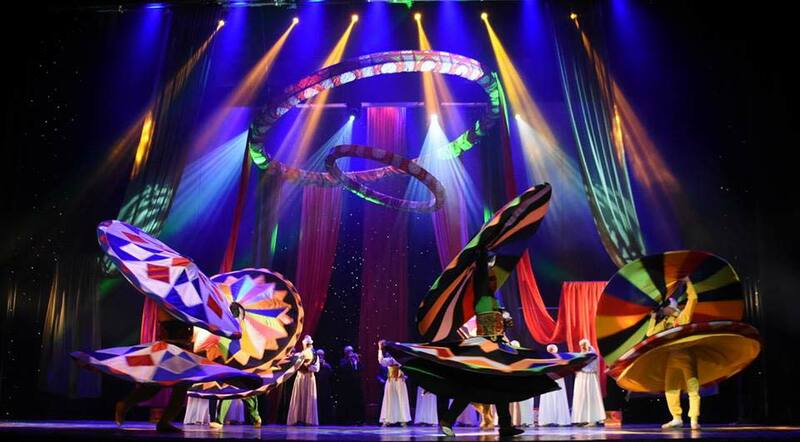 The Festival is held annually in Cairo in which experimental performances are presented. The festival is held from 10 – 20 October. b. The festival also includes theatrical performances that are outside the contest. c. A symposium will be held to discuss “experimentation” in world theatre. The Executive Committee of the Festival decides upon the topic of the symposium. Members of the delegations who are specialized in the field plus guest speakers are invited to take part. d. The festival pays tribute every year to pillars of experimental theatre all over the world – playwrights, directors and technicians. e. The festival issues annually a number of translated books as well as other publications, which are concerned with theatrical experimentation. f. The festival organizes a series of lectures dealing with experimentation in theatre. Lectures are given by specialists and by those who have creative experiences in the field of theatrical experimentation. g. An exhibition of experimental theatre scenery as well as a book exhibition is arranged. 3. The Jury Committee consists of a chairman and ten members. All sessions of the jury Committees a re secret and all its decisions are irrevocable. Contestants are not allowed Membership in the Jury Committee. b. Award for best direction. Each award is represented by the statue of “Thot”, the Pharaonic Goddess of Wisdom. b. The text in Arabic, English or French. c. A file including information about the group, its activities and photographs of the performances it has presented. d. The scenic design, any technical details and the stage plan. e. A list of actors, technicians and the managerial staff participating in the festival (the total number is not to exceed 15 persons). f. A number of 2 posters of the performance. g. A DVD of the performance in order to be viewed by the Viewing Committee, appointed by the Festival Management, consists of a number of great critics, directors and playwrights. The Viewing Committee is to decide whether the performance will participate in or outside the contest. 6. The festival provides for the accommodation and local transportation of the groups (15 members only). First published on 27th June, 2010 by The Malta Council for Culture and the Arts.